Gerard Cadet is proof that childhood dreams can come true if you plan and prepare well for success. In addition to working on a $550 million project, he’s careful to keep in mind an important aspect of the design process: Balance. As part of that process, Gerard spends a lot of time focused on work, learning from his peers, but makes time for family both in the U.S. and back home in the Bahamas. Gerard was born in the Bahamas. When he was a child, he told his father that he wanted to be a developer, “making nothing into something.” While money for higher education was tight, with the encouragement of a high school teacher, he developed a plan to attend college. 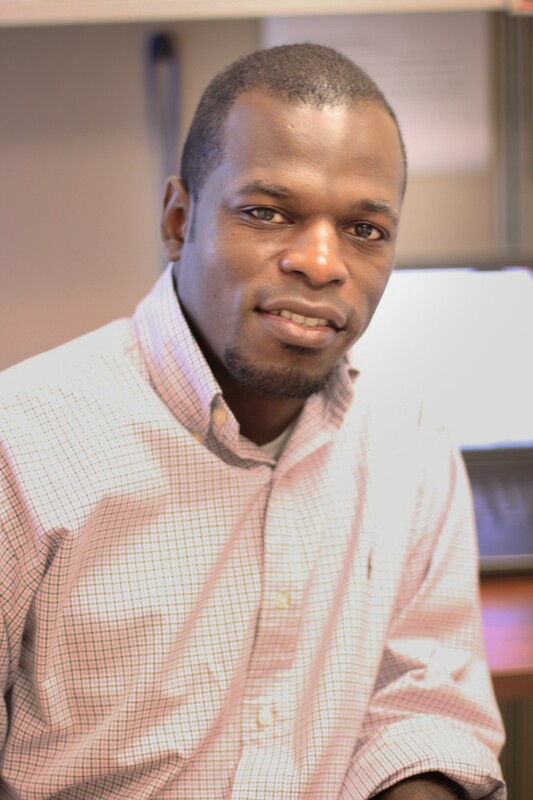 After earning an architecture degree from the College of The Bahamas, he moved to Florida and earned a construction engineering technology degree from Florida A&M University. “Early on I learned the value of setting goals and pursuing them with everything you’ve got,” said Gerard. Among his future goals, Gerard would love to build a mobile learning lab. This modern “Magic School Bus” would be equipped with technology and tools that would help individuals learn and share information. Also on his future list? “To make a snowman. I’ve never seen snow,” he confesses. Gerard believes strongly in the adage to surround yourself with wise counsel. “The people you get advice from have ability to influence your success more than you think,” he cautions. He encourages people to ask questions and avoid making premature assumptions as it might be the difference between success and failure. Gerard’s mentoring nature helps make Beck great. Gerard came to Beck from Florida A&M University where he studied construction engineering technology. He spends his days solving problems, finding a way to simplify processes and sharing solutions with his team members for best results. This role allows him to truly enjoy and embrace the work environment, learning in a fast-paced environment, and having extensive interactions with the full project team (owner, architect, engineers and consultants). Since joining Beck he’s discovered to never say no to a task, accept it and its challenges.